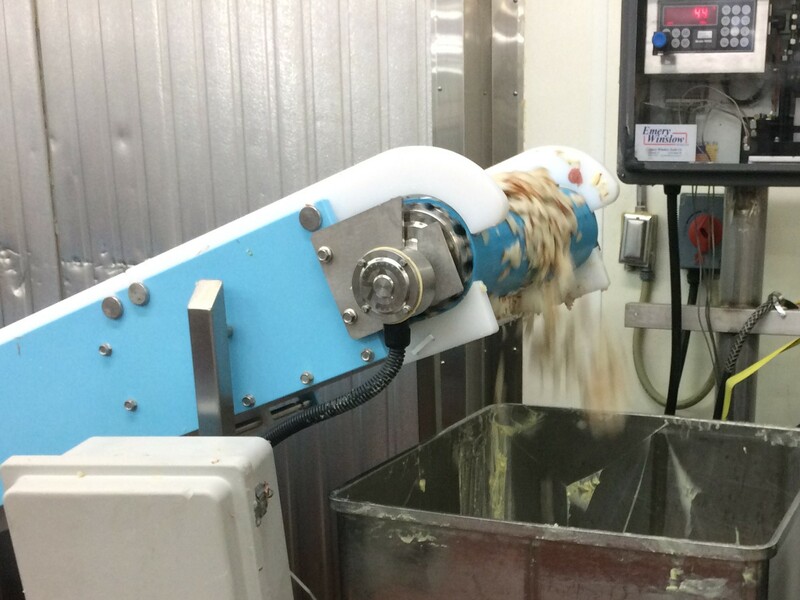 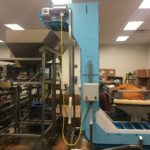 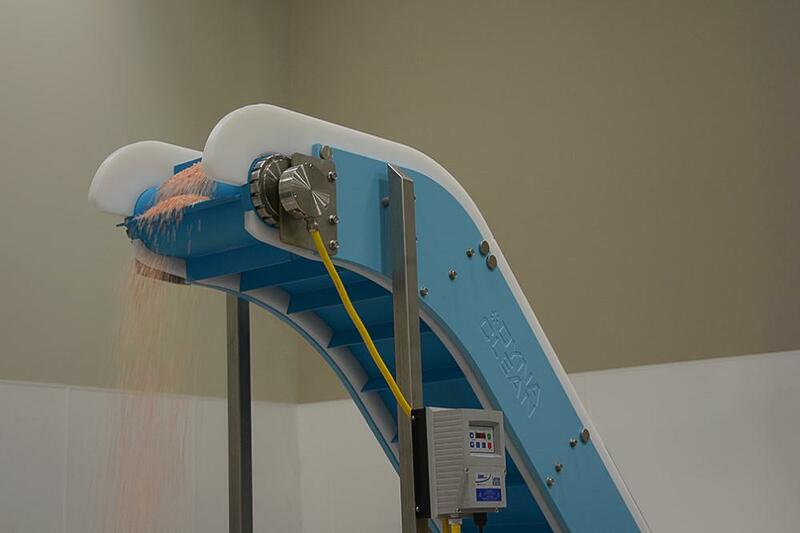 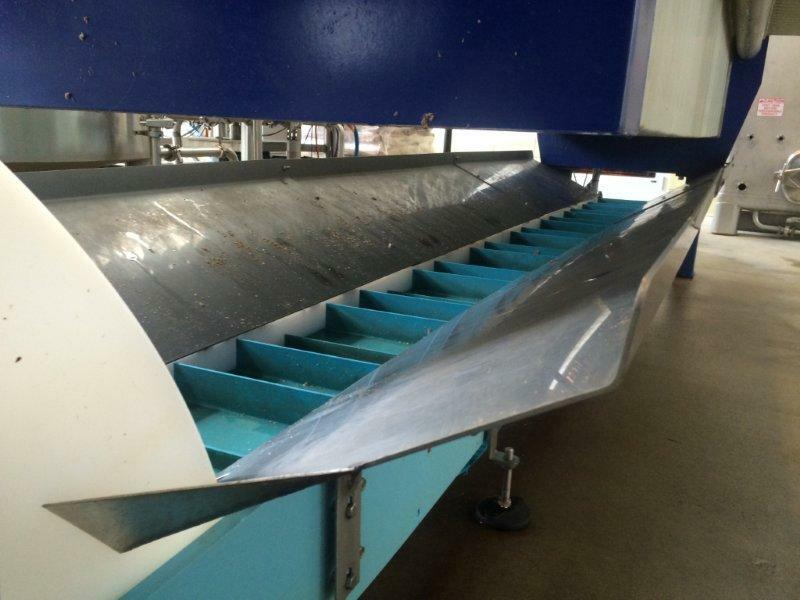 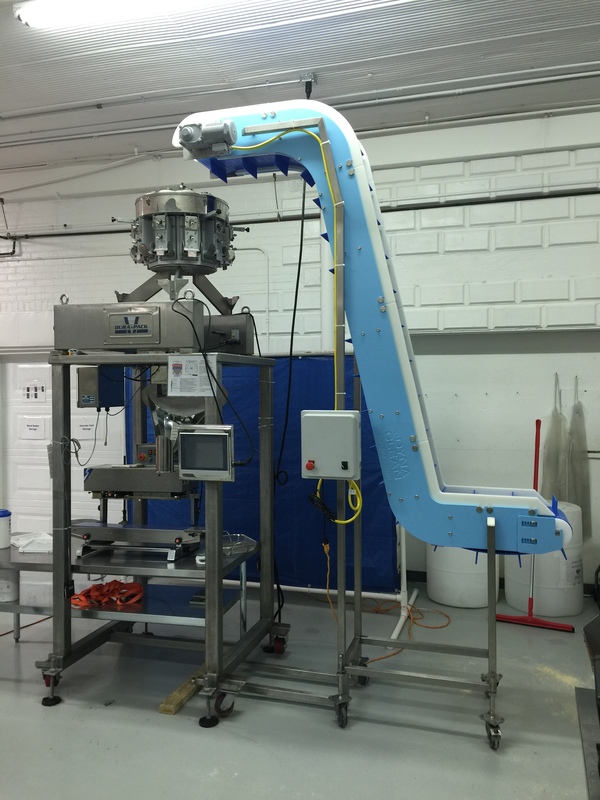 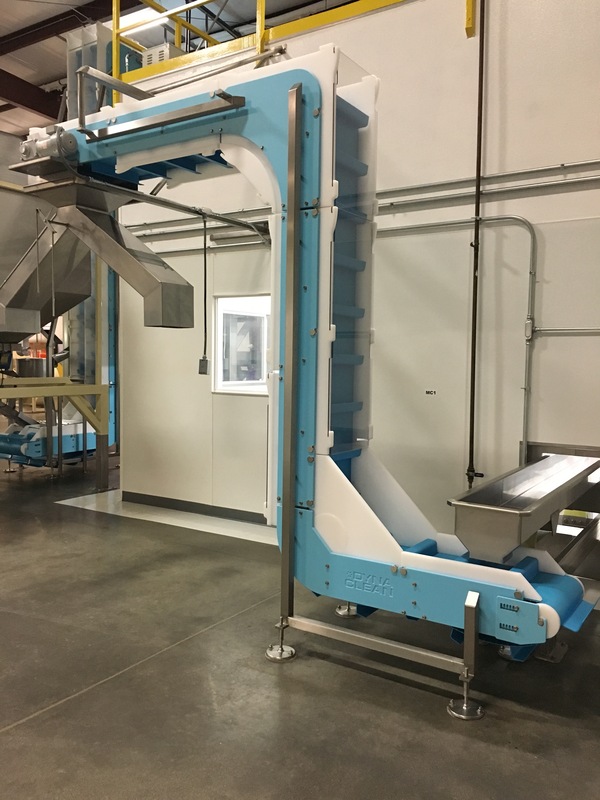 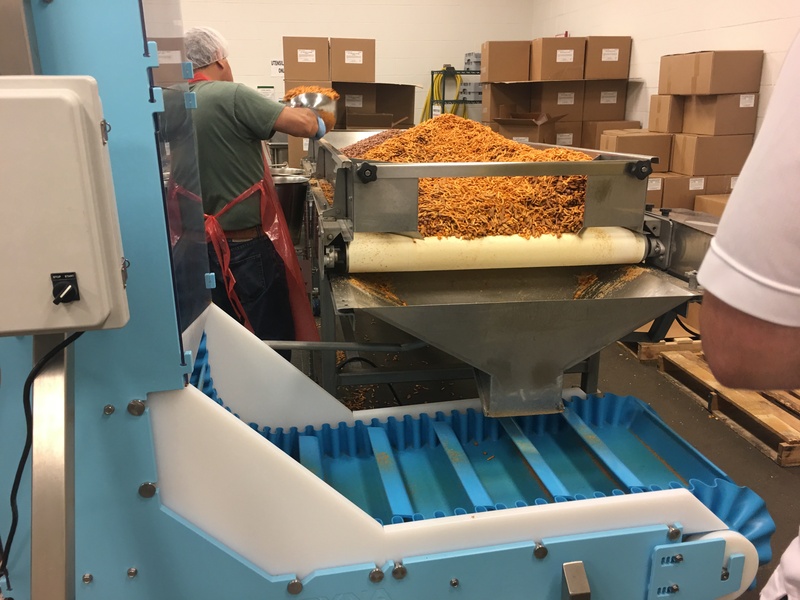 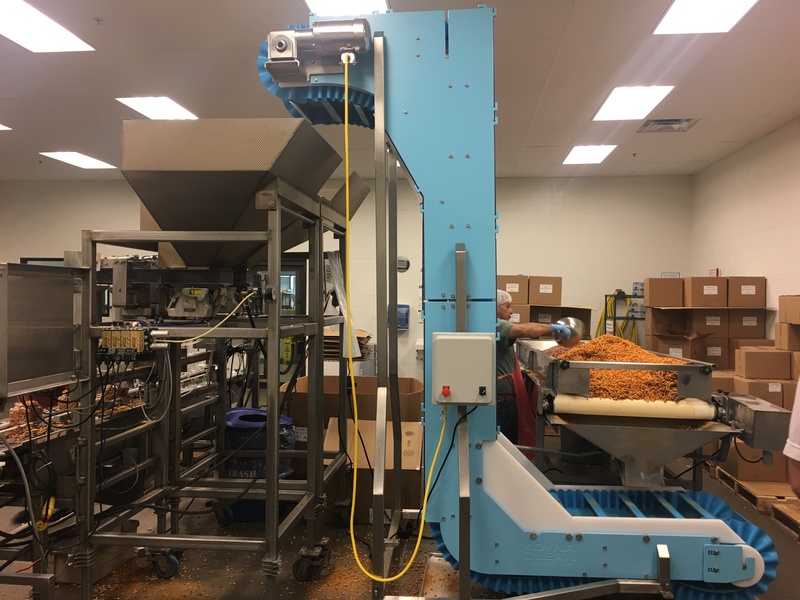 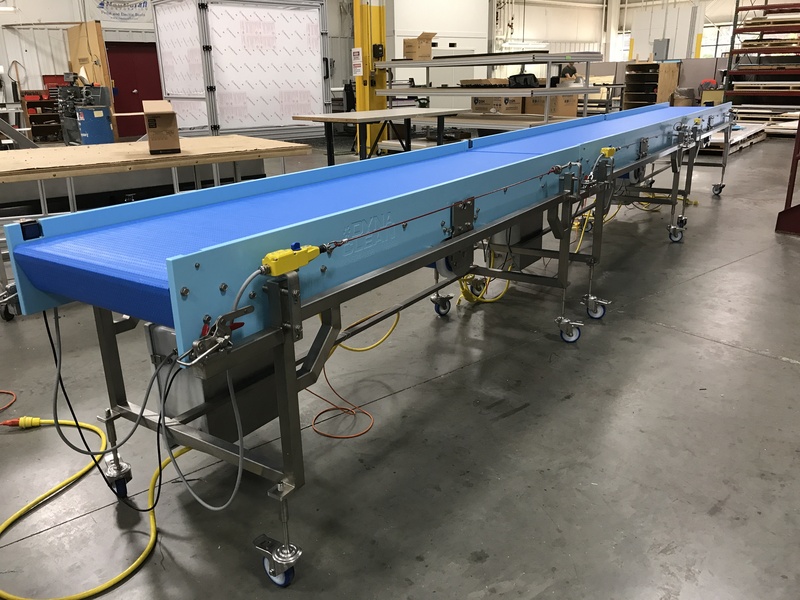 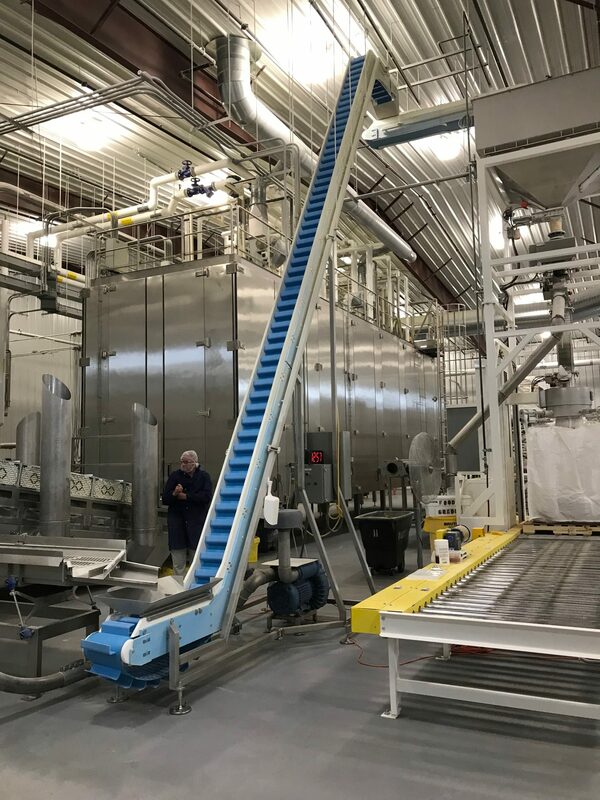 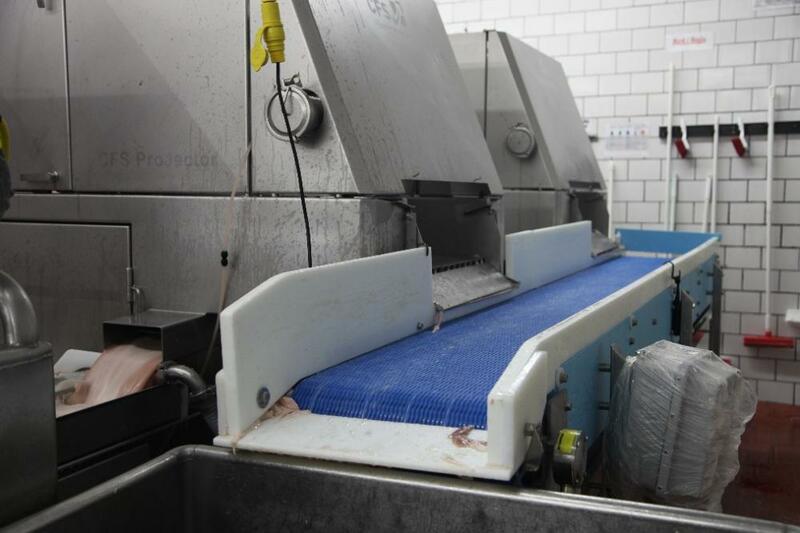 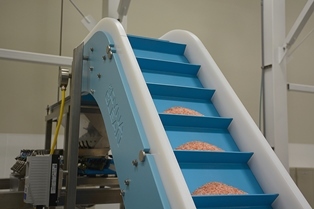 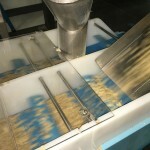 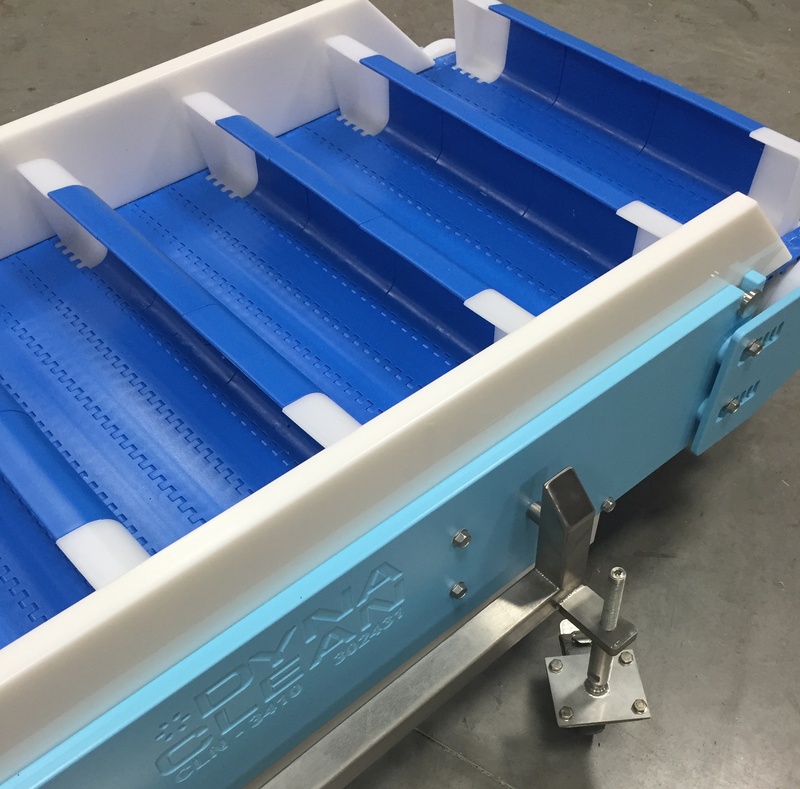 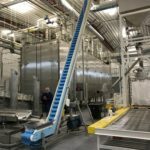 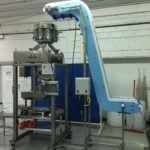 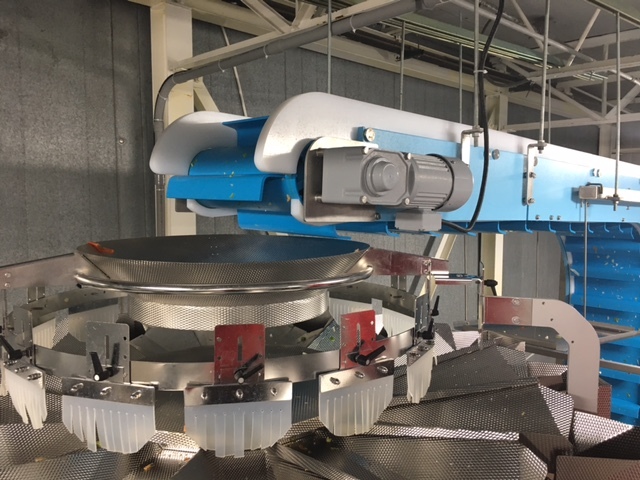 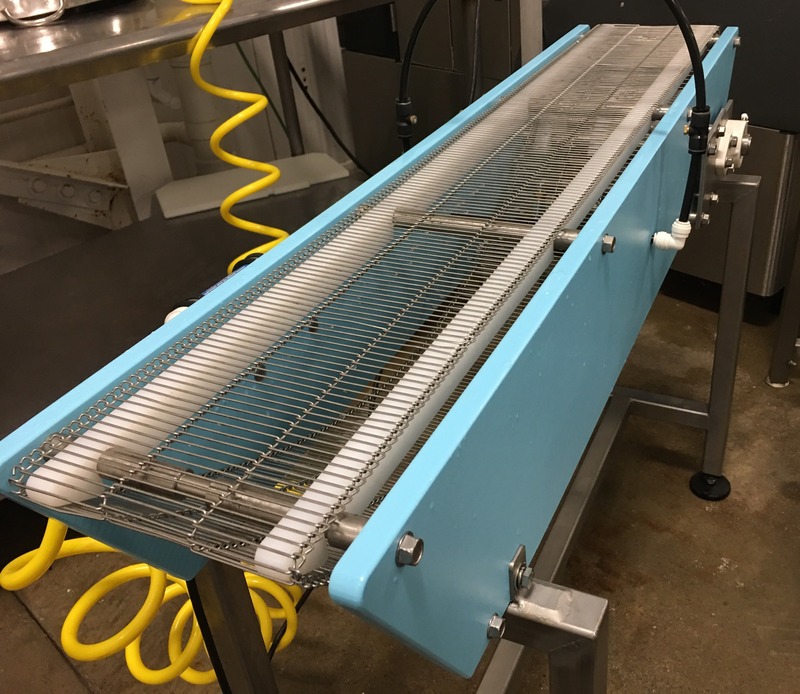 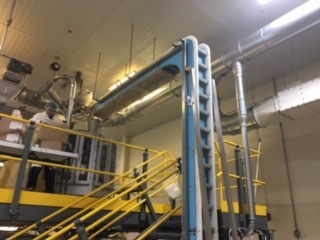 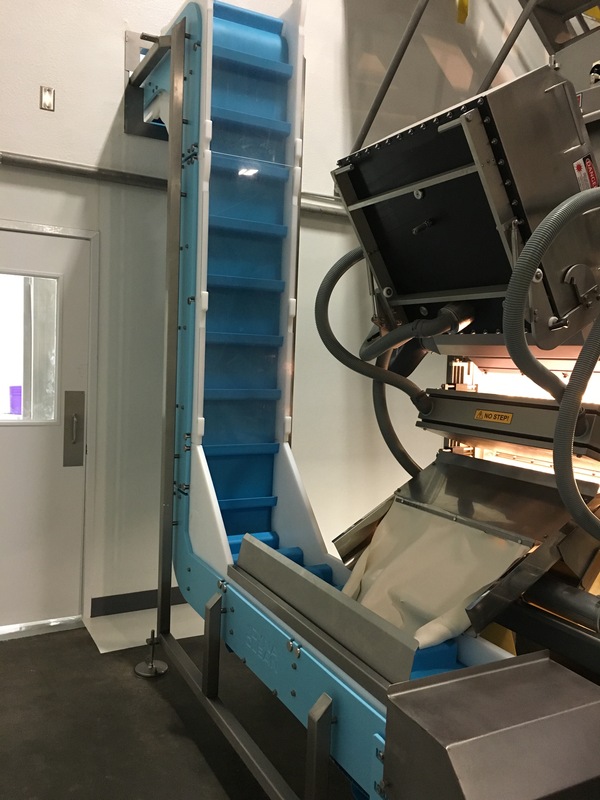 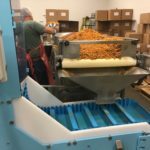 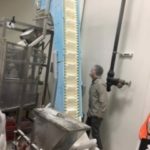 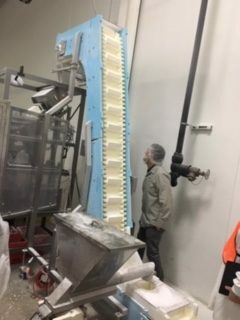 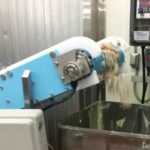 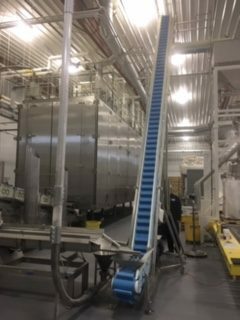 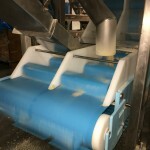 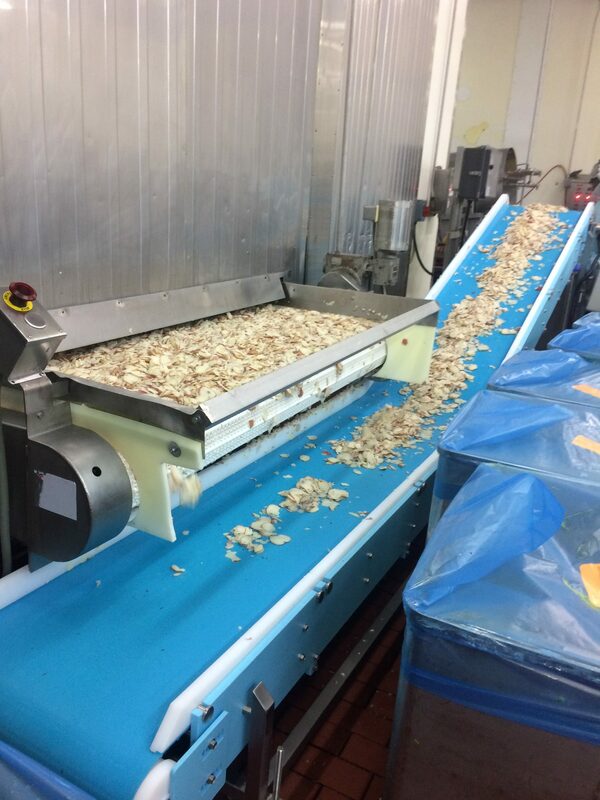 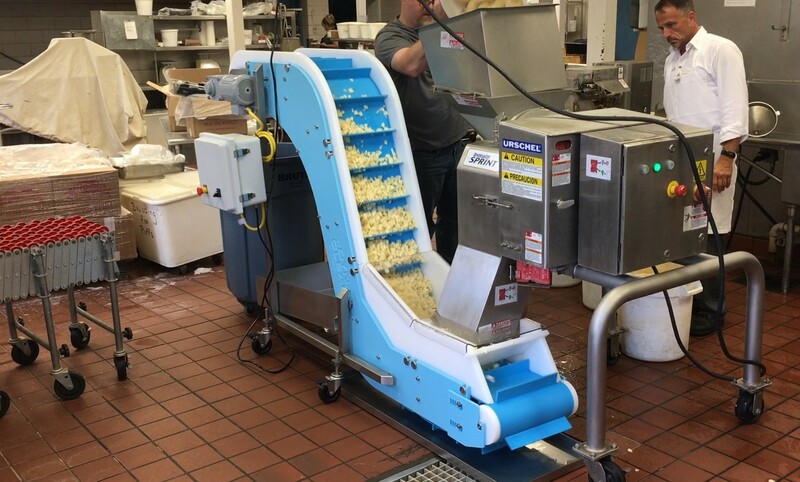 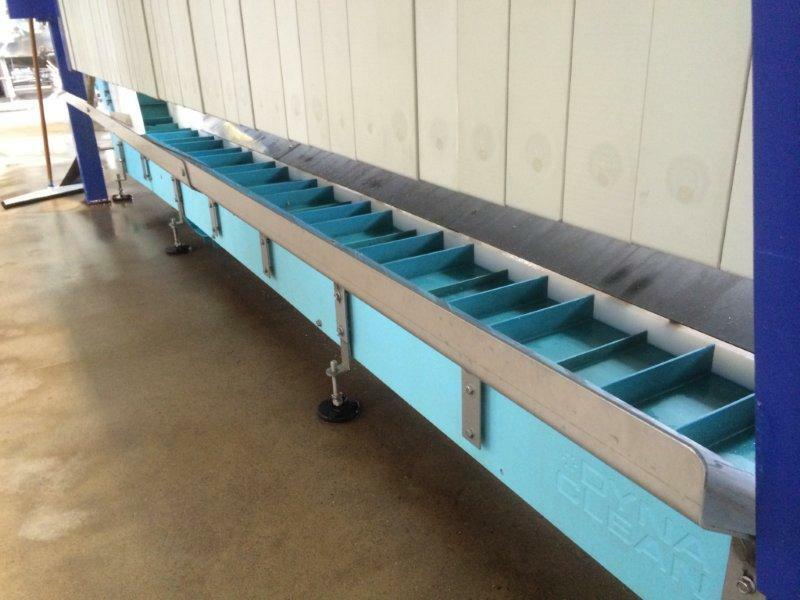 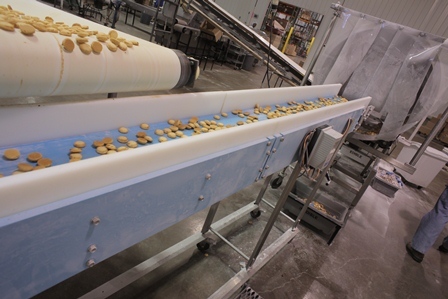 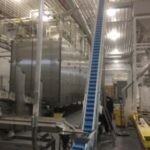 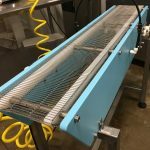 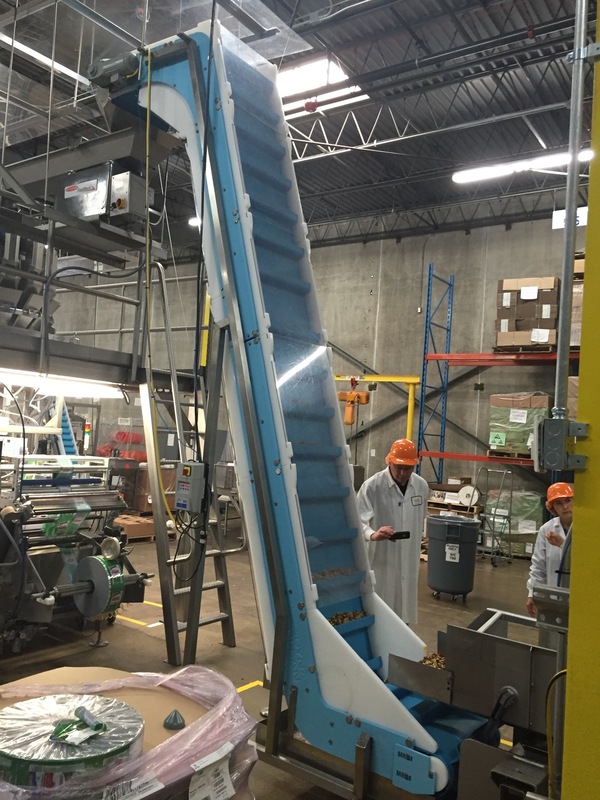 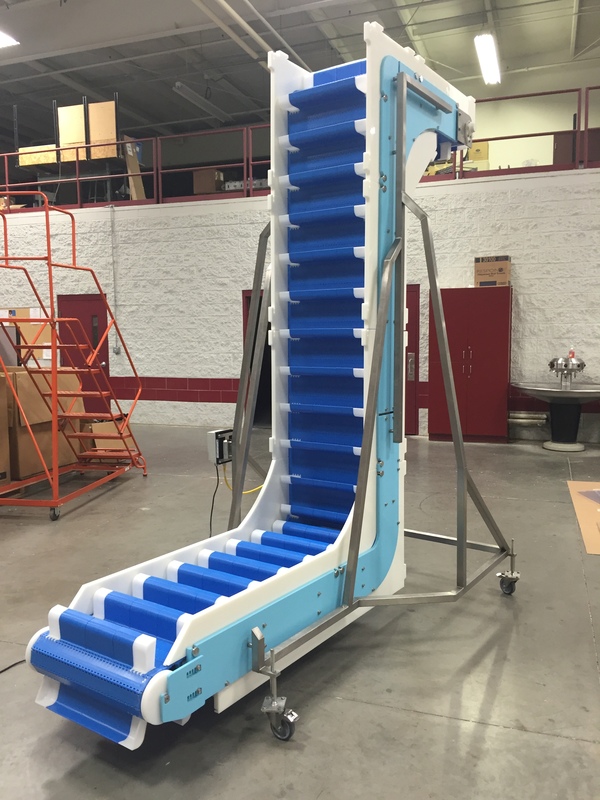 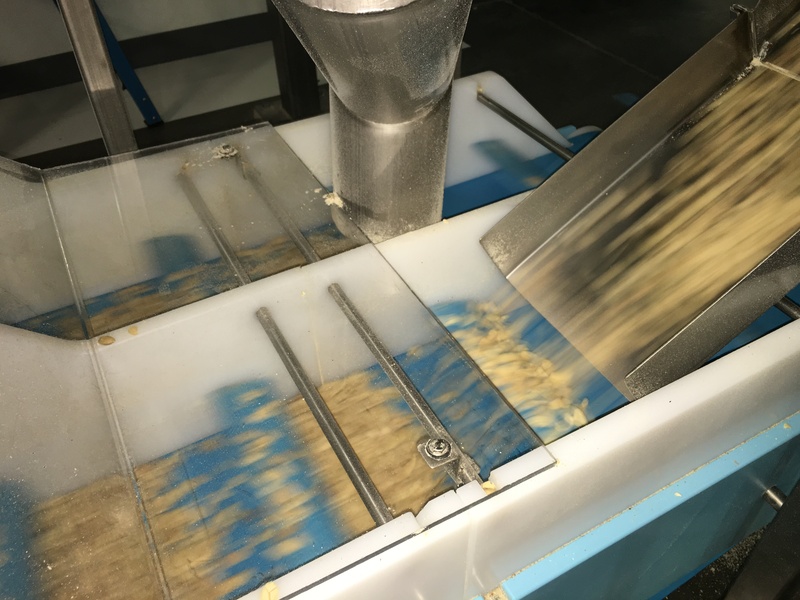 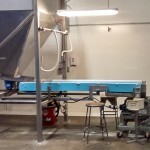 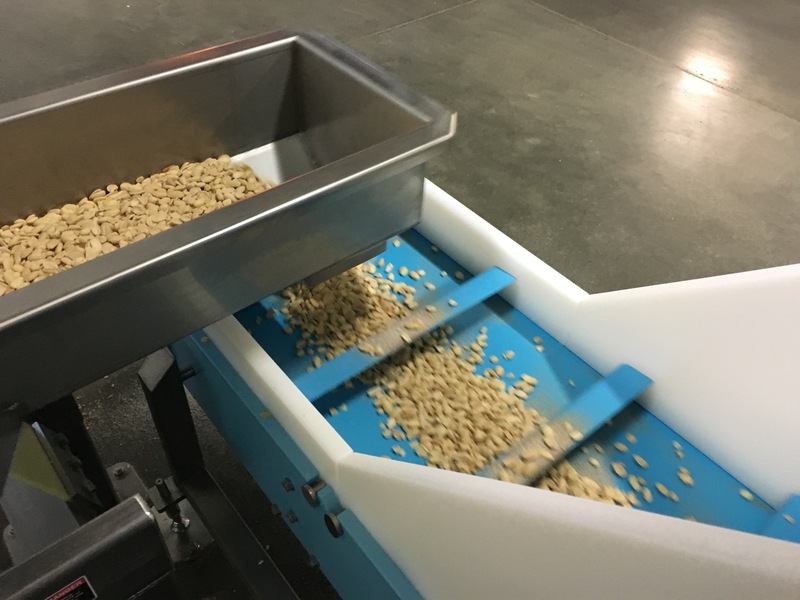 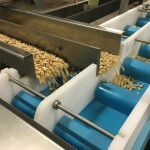 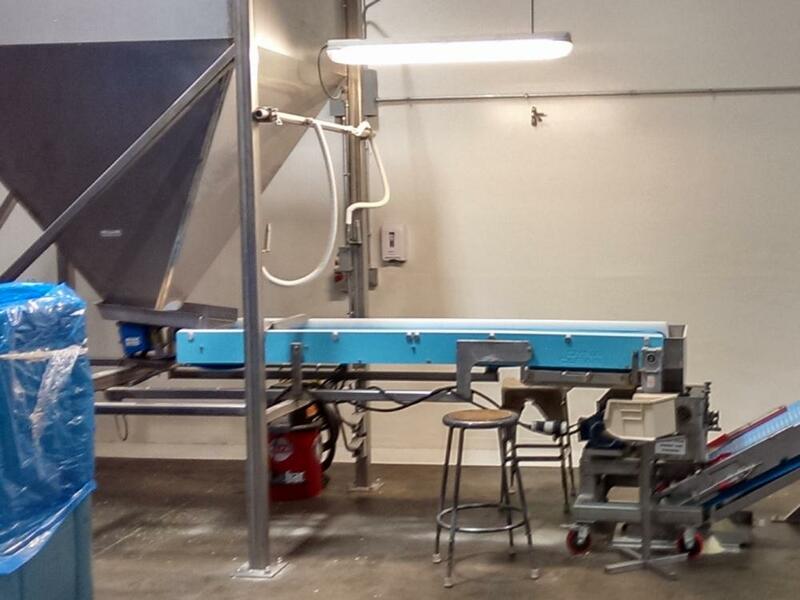 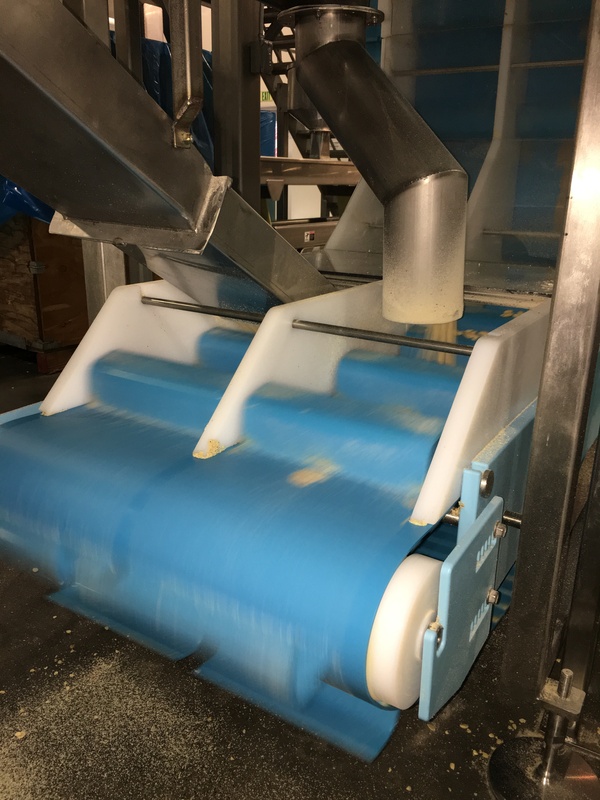 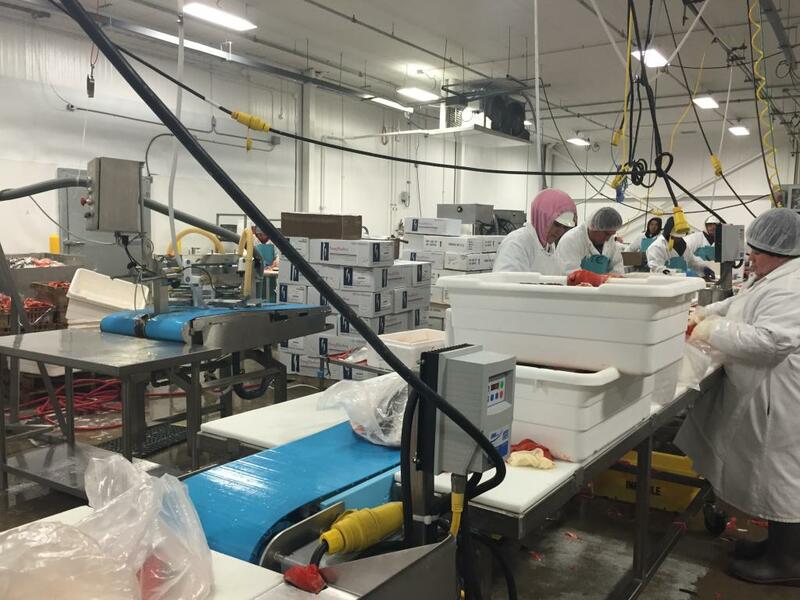 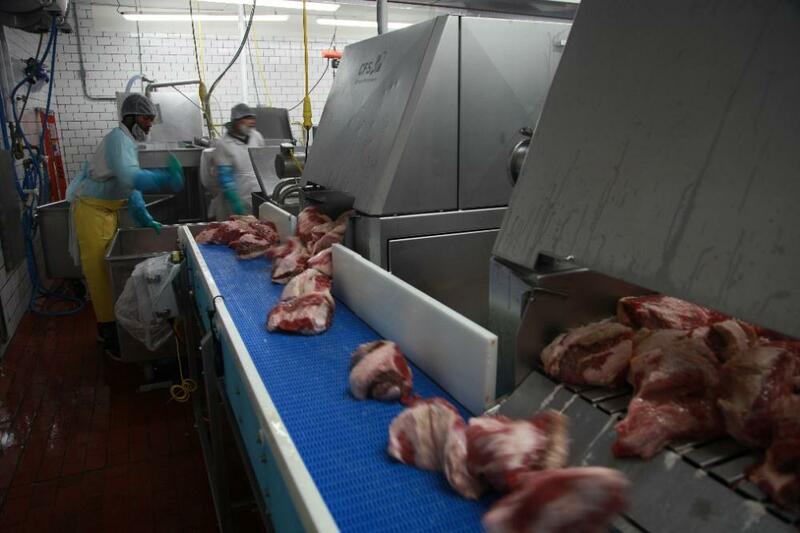 DynaClean custom conveyors are ideal for food handing and pharmaceutical environments where cleanliness and sanitation are a must. 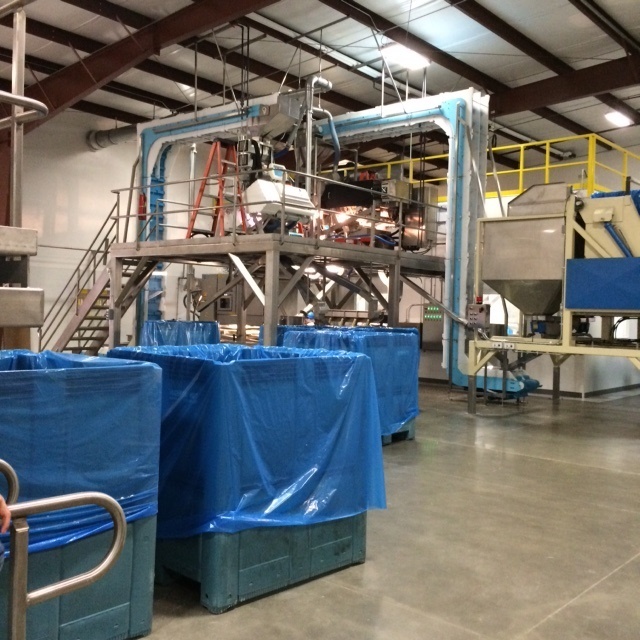 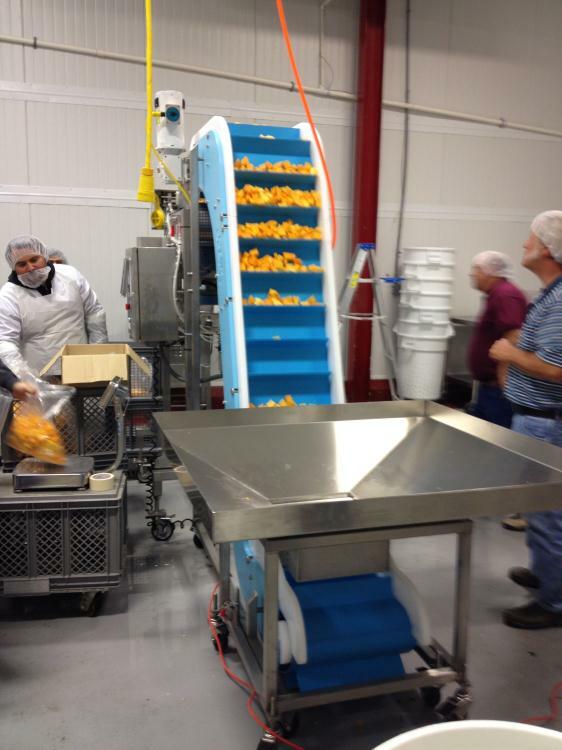 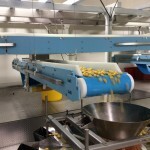 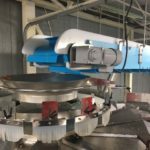 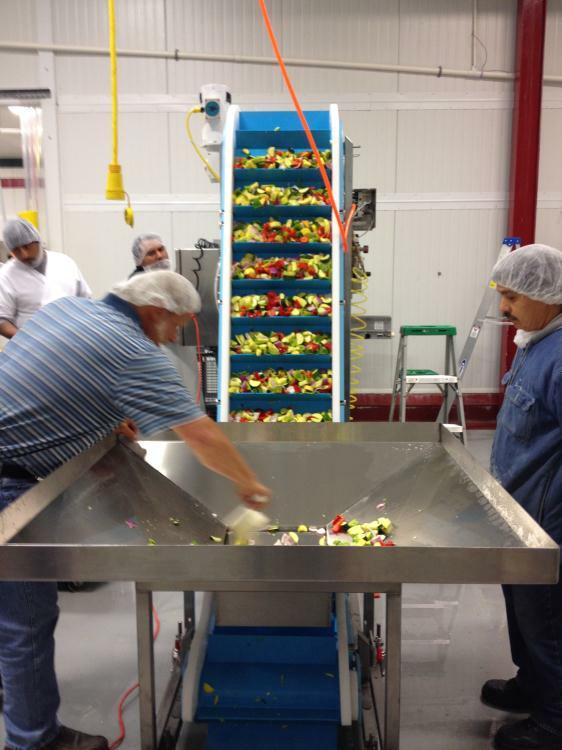 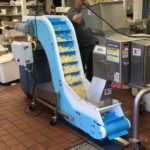 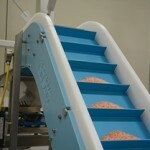 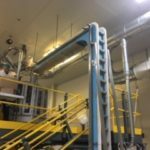 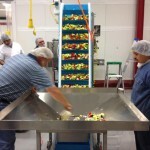 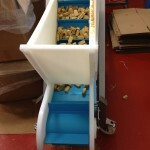 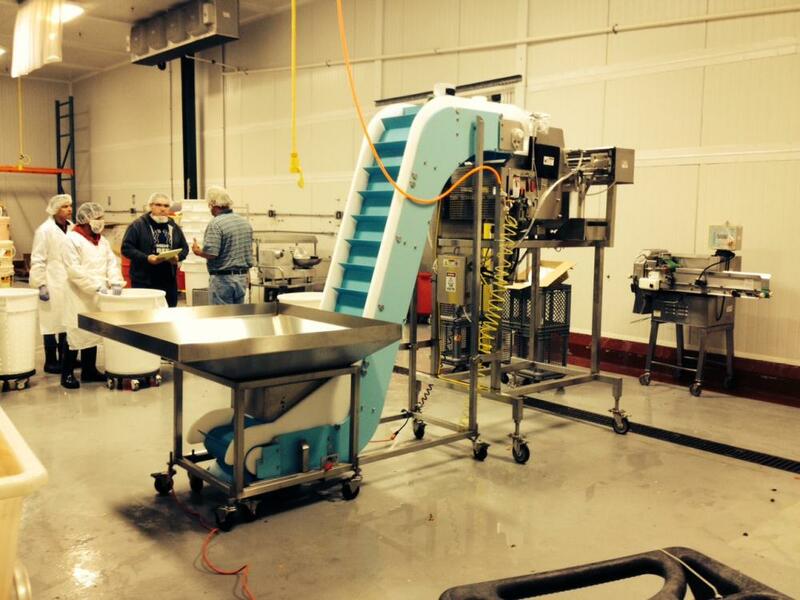 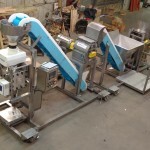 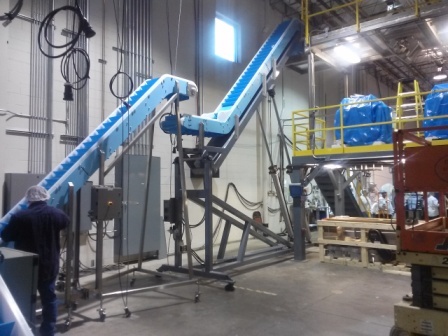 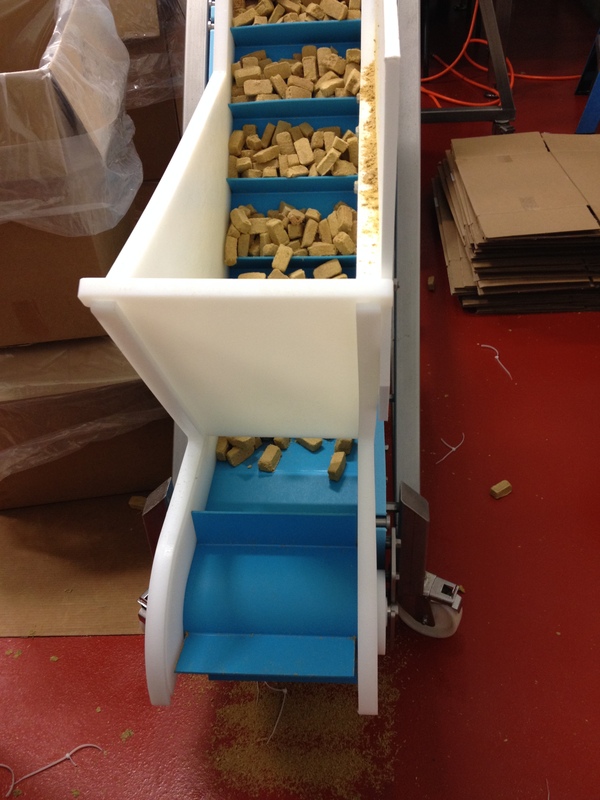 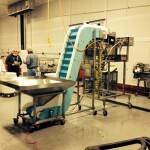 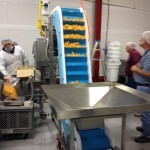 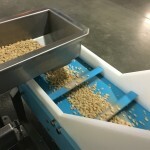 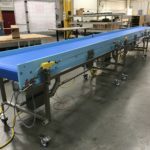 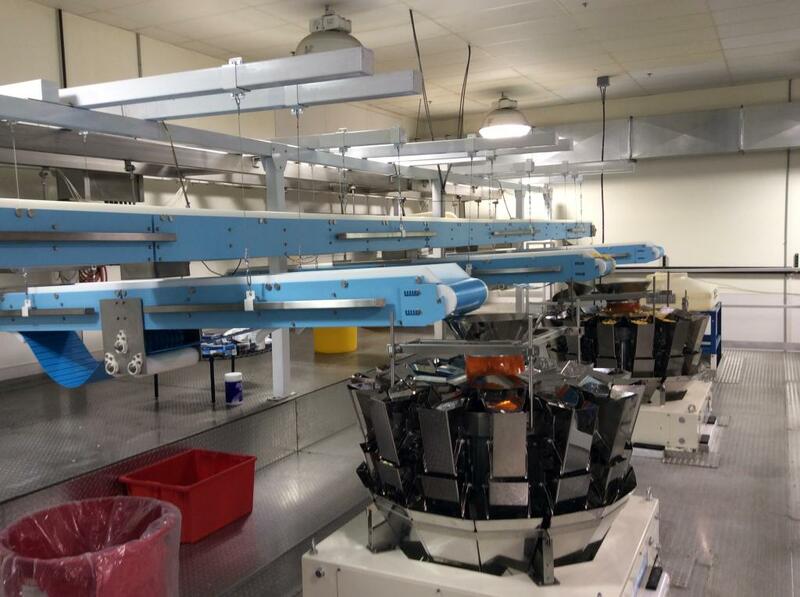 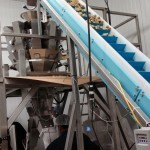 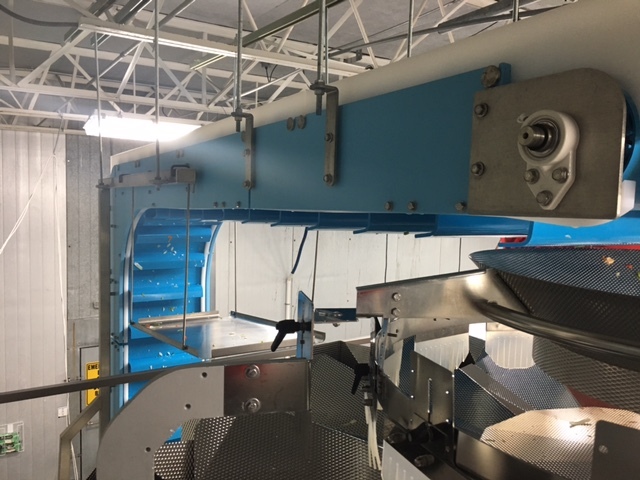 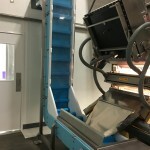 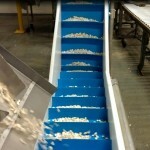 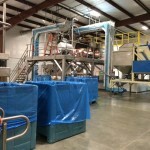 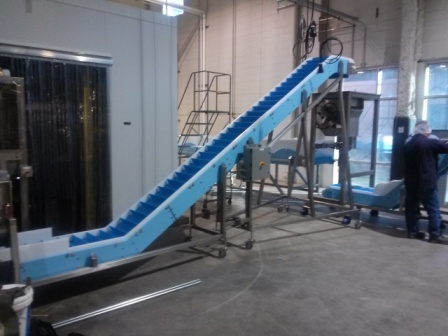 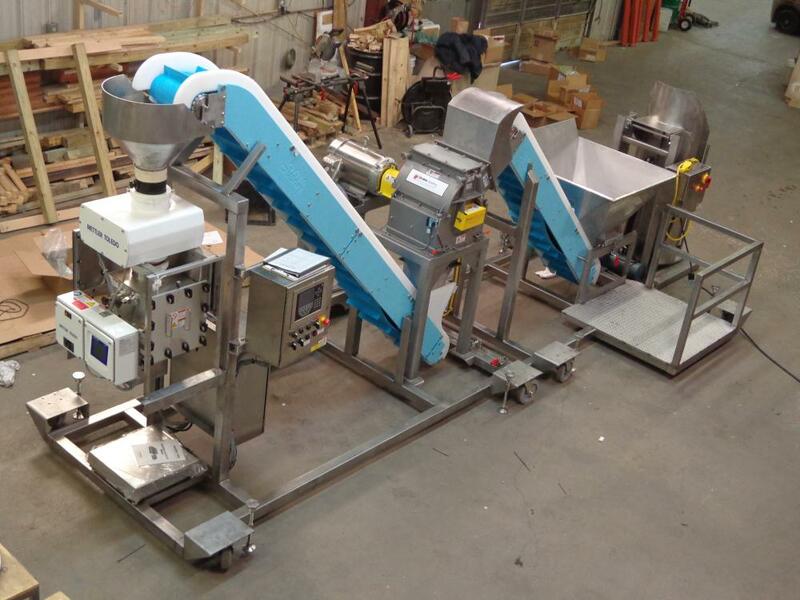 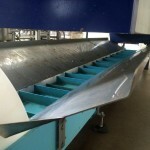 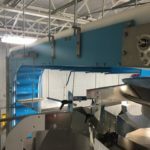 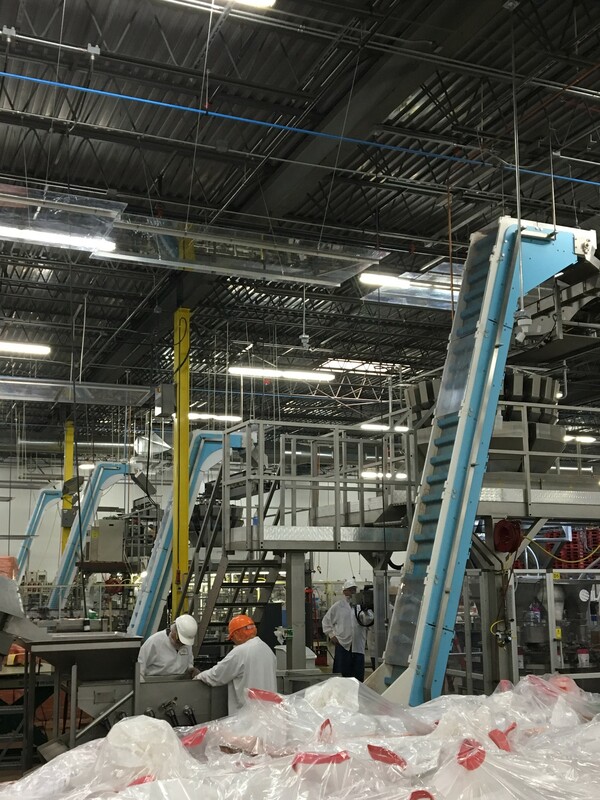 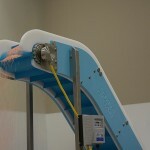 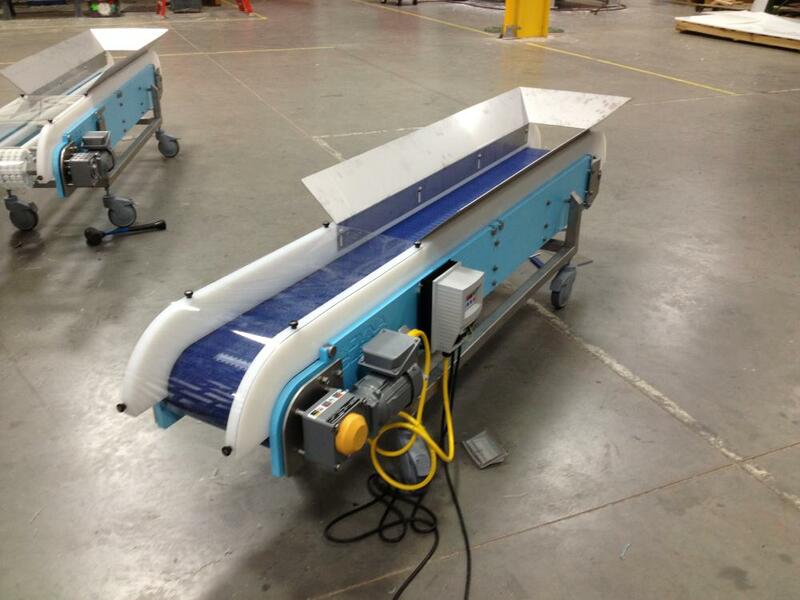 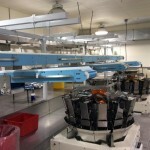 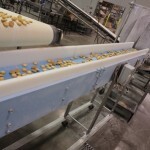 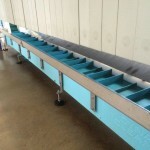 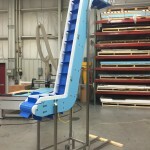 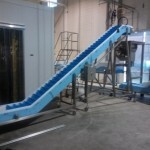 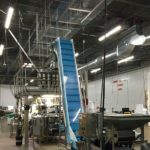 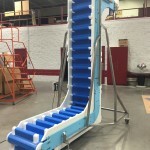 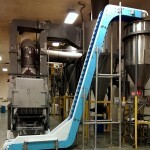 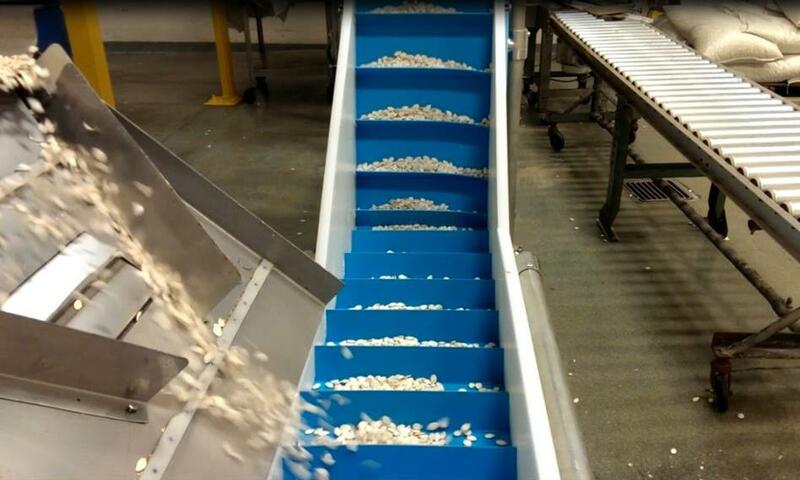 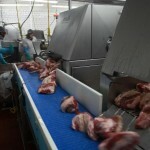 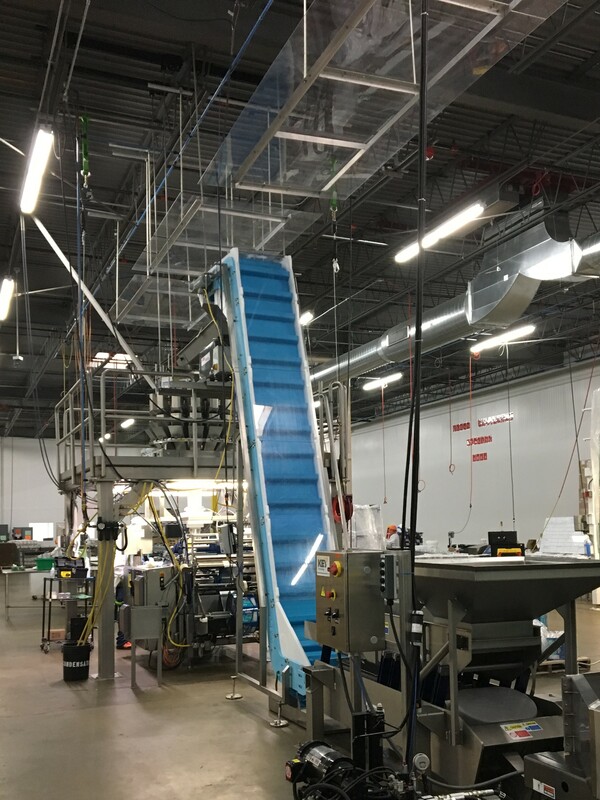 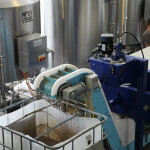 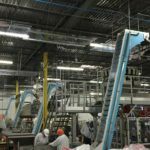 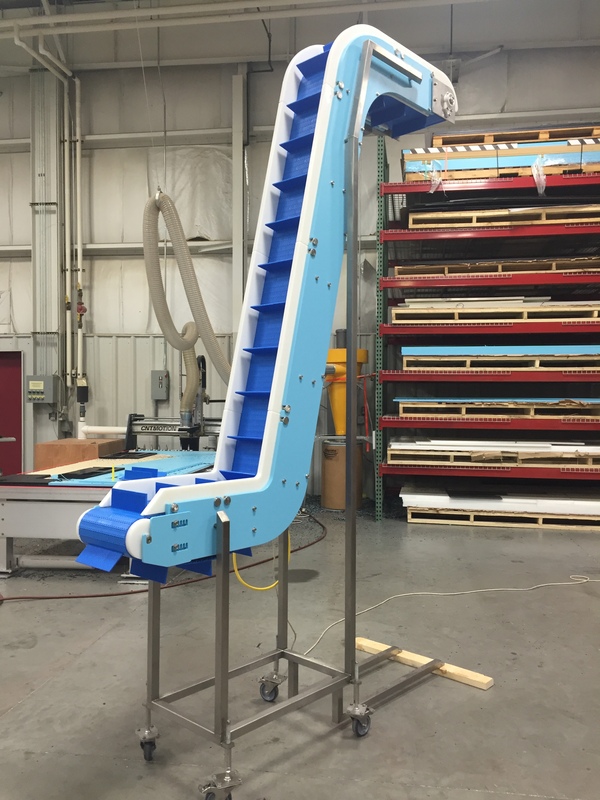 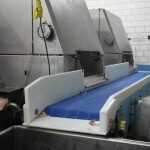 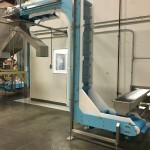 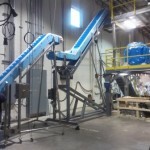 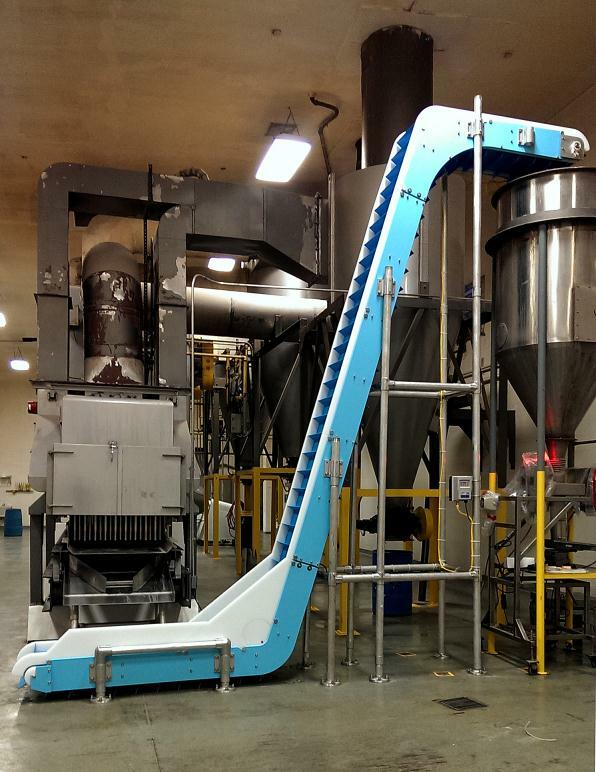 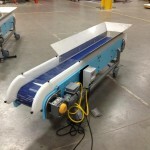 See how each conveyor is designed and built to meet the needs of our customers while keeping ease of cleaning in mind. 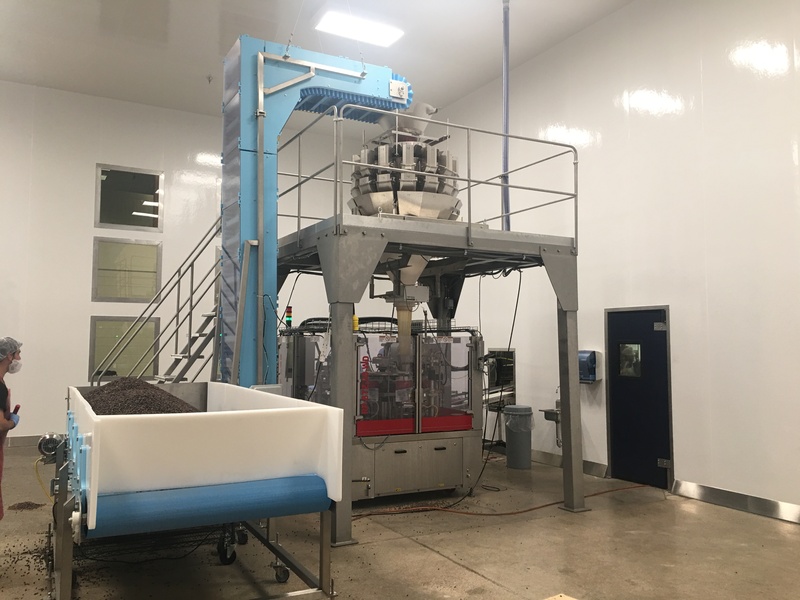 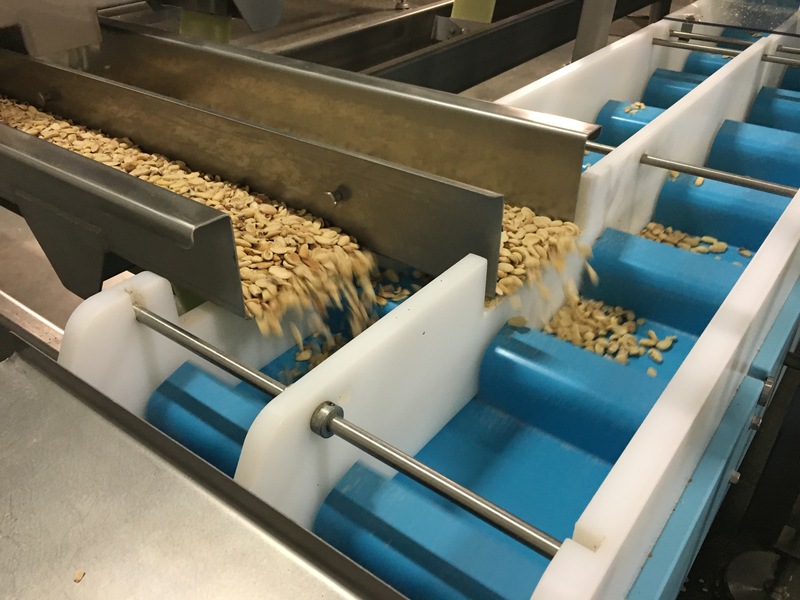 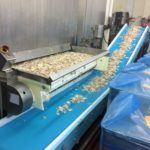 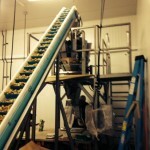 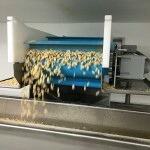 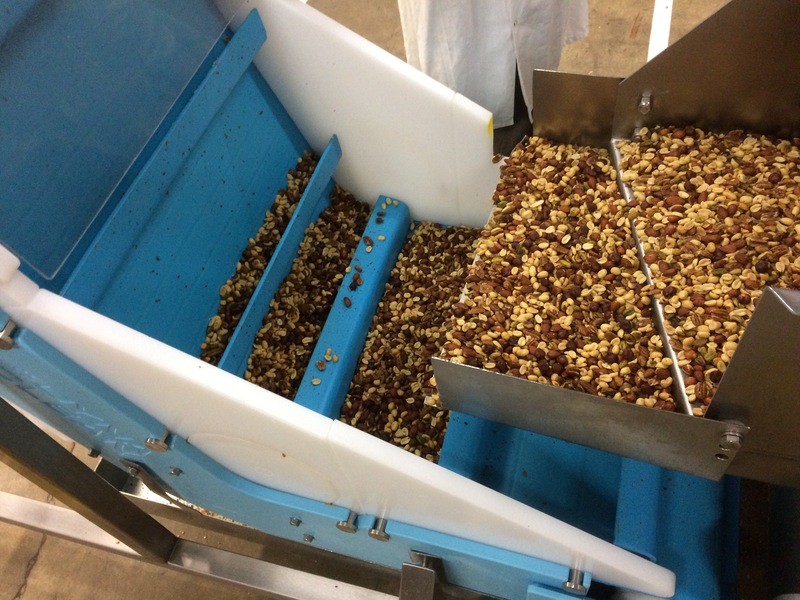 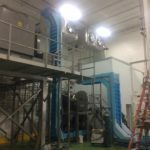 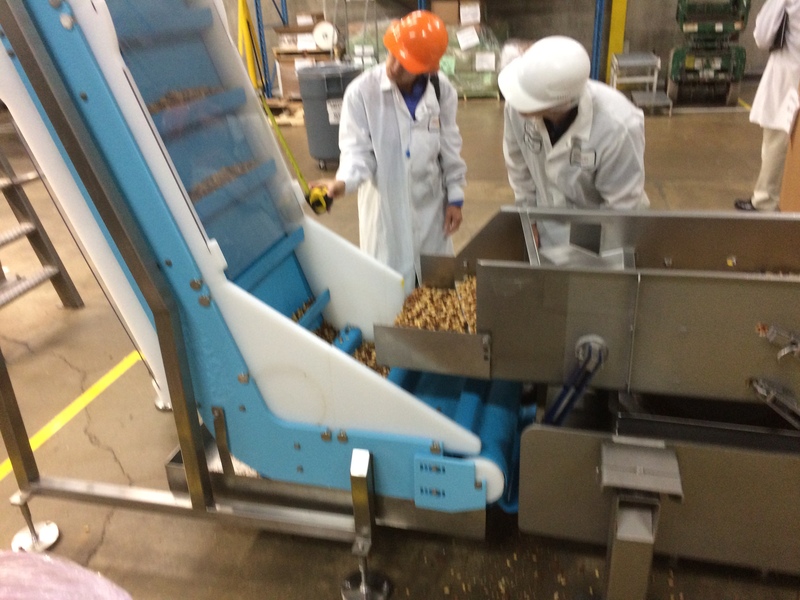 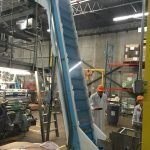 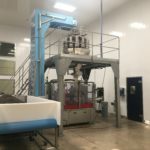 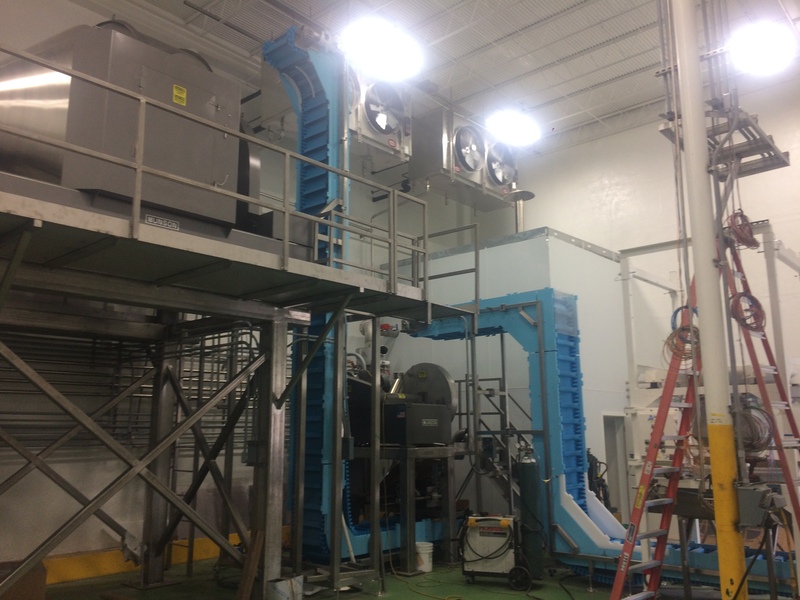 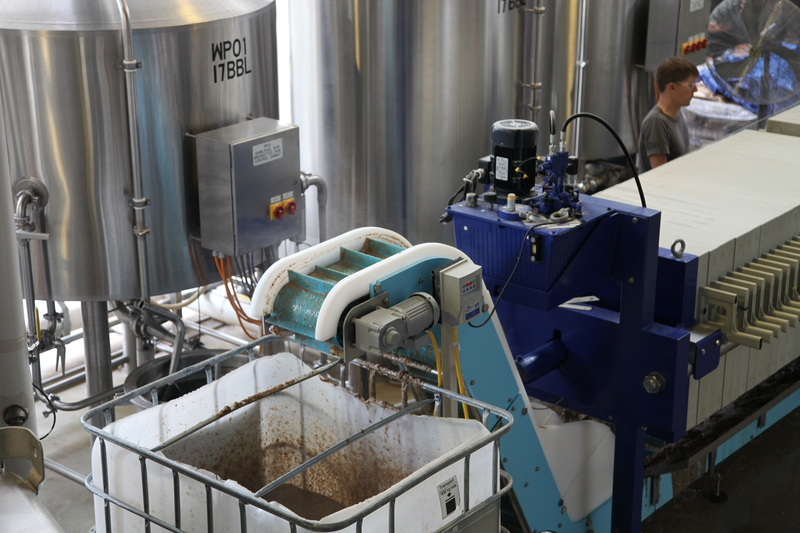 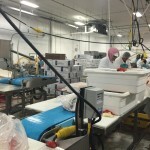 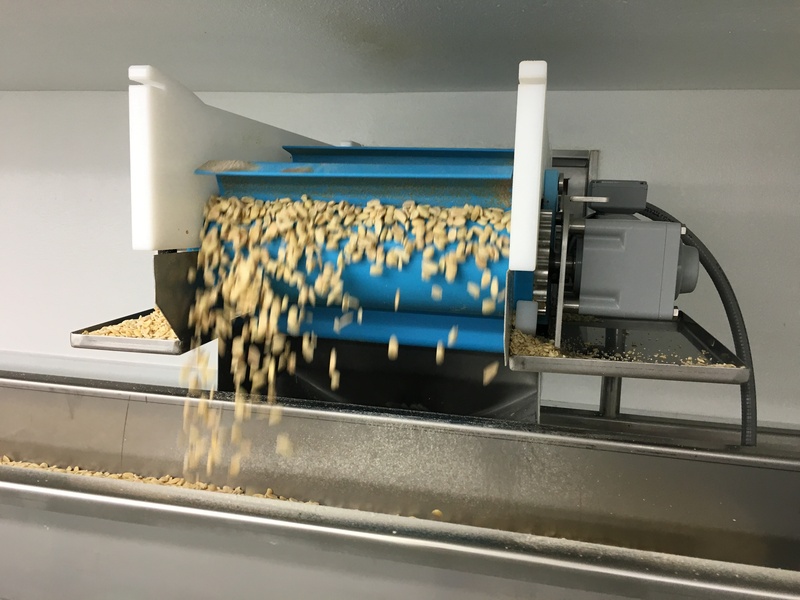 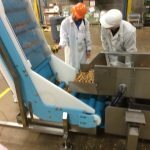 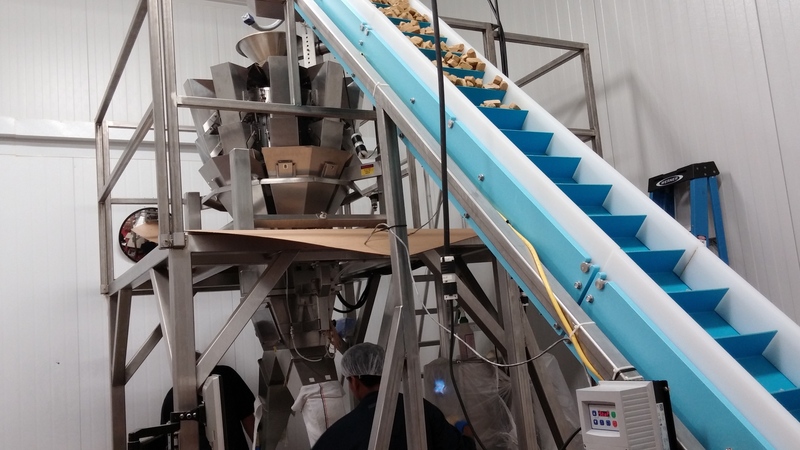 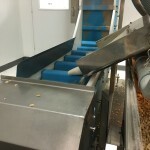 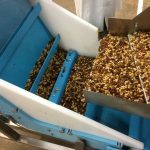 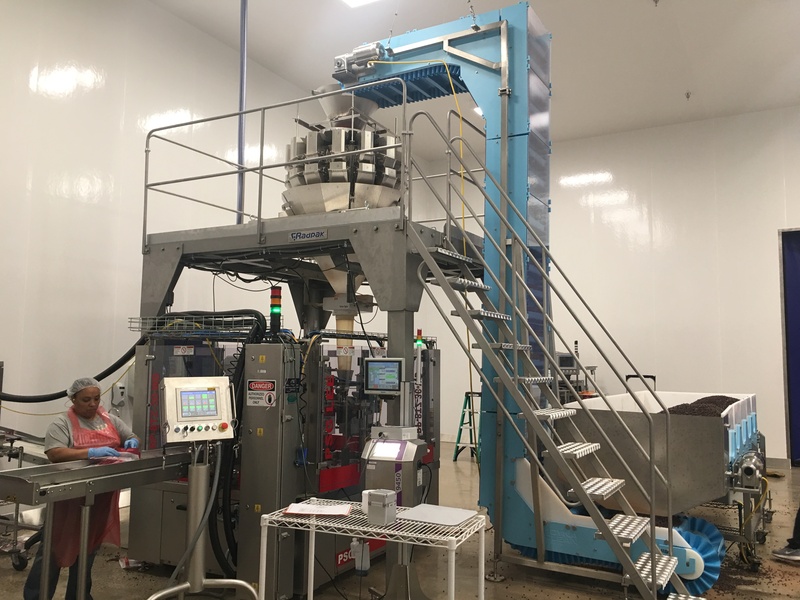 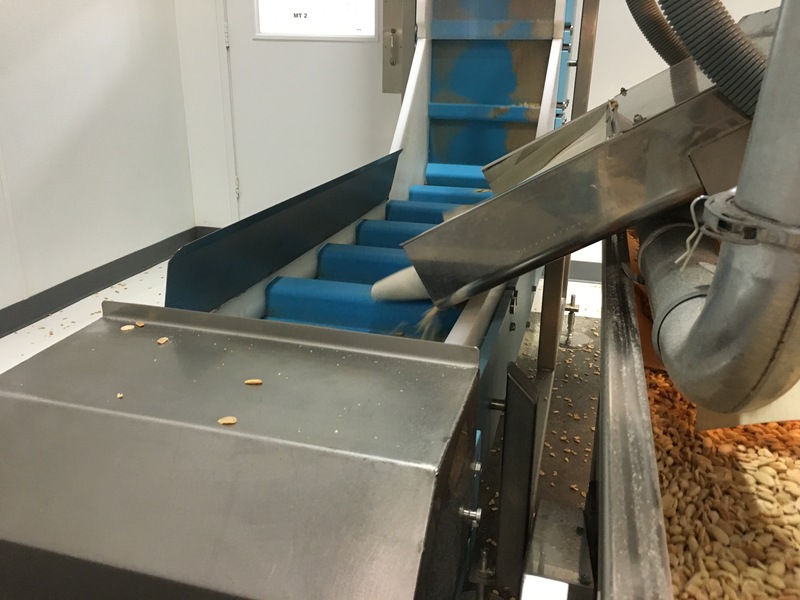 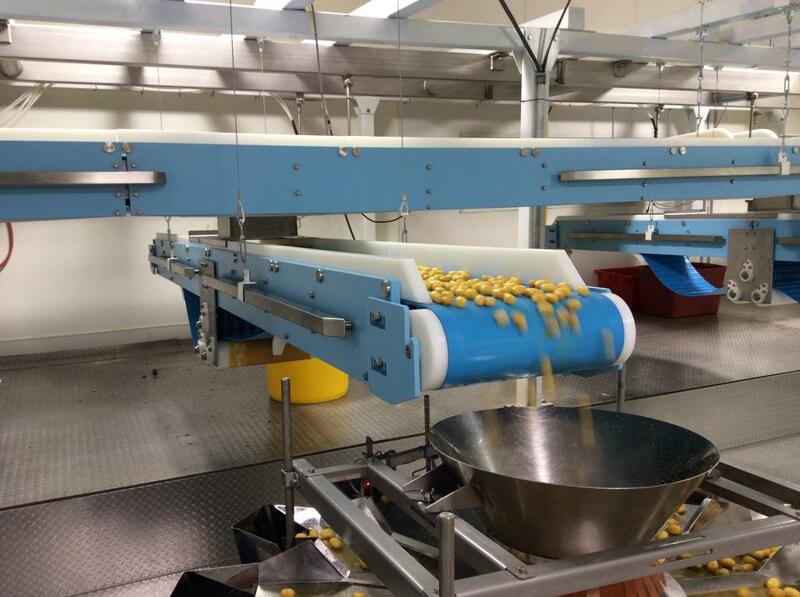 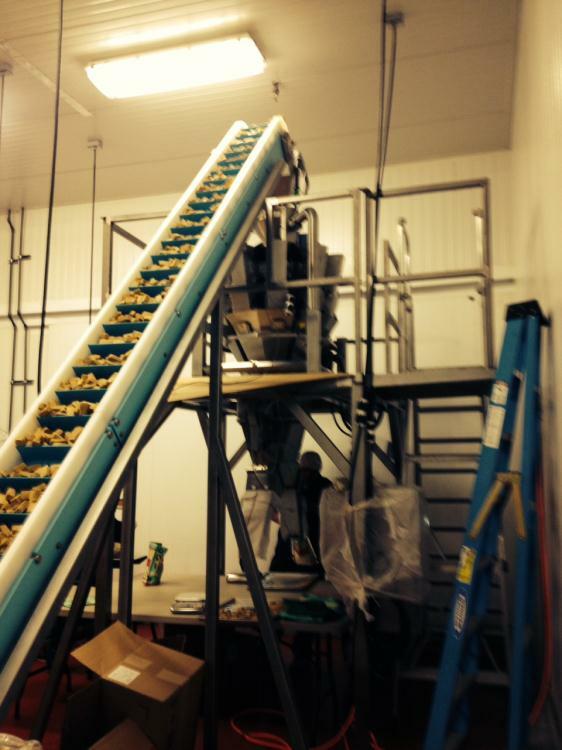 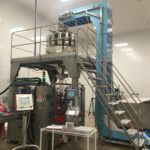 High volume sorting & processing of almonds.